I’ve never really gotten on too well with dry shampoos. It’s one of my cultural black holes, like never having been to Nando’s or wished I was a mermaid. It’s probably because all the ones I tried were a bit rubbish. But this new Revlon Dry Shampoo I like much better, so I think it’s worth recommending. 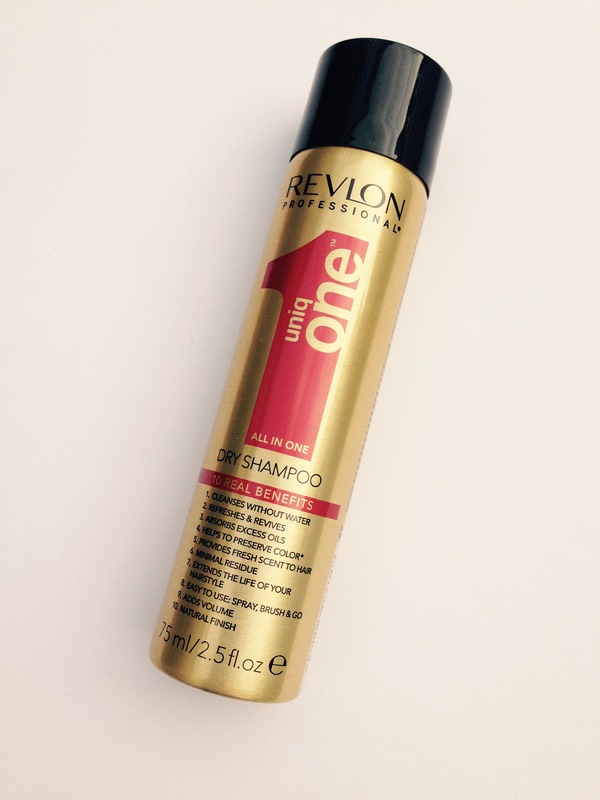 Revlon UniqOne Dry Shampoo promises to absorb naturally occurring oils that can leave hair looking dull and flat. And whilst it’s cleansing the hair, it also adds volume and texture, while leaving it freshly scented with a natural finish. All in all, it promises 10 benefits, though frankly I think that’s pushing it, since aren’t cleansing, refreshing and reviving all parts of the same thing? I tried this out on a Saturday night when my hair was looking admittedly skanky and in need of a wash. A last minute invitation to go out into the world and be seen by people *shudders* meant that emergency remedial action was needed. As you can see, the golden packaging of Revlon dry shampoo looks a lot like Elnett hairspray, which is fitting since you apply it in pretty much the same way. Simply spray at around 10cm from the roots, allow to dry, then brush through or massage in with fingers. It’s got a VERY sweet scent to it – reminded me of Love Hearts sweets, coupled with Eau de Hairdresser. Like if the Swizzles factory had a hair salon, this is what it would smell like. The scent doesn’t especially linger in the hair but you’re certainly aware of it when you’re spraying it on. But crucially, it DID stop my hair looking greasy and stopped people throwing bread rolls at me in the restaurant. Instead, it gave a nicely tousled effect, with a bit of extra volume and texture. I liked it, I think I’ll keep using it. Still no plans to go Full Mermaid though. 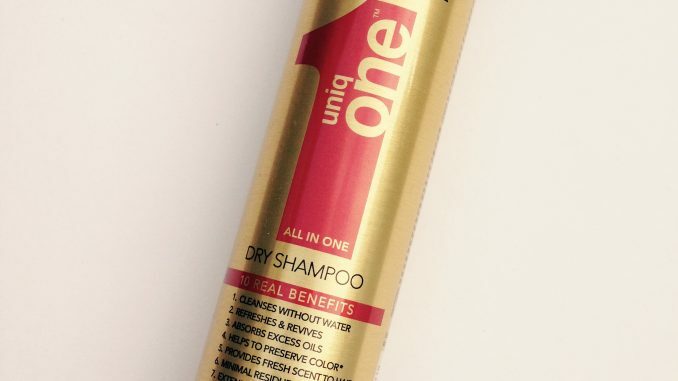 Uniq One Classic by Revlon Professional Dry Shampoo is widely available now, priced from around £3 for 75ml. You can find it here on Amazon. Are you a dry shampoo fan? Have you ever been to Nandos? Do you want to be a mermaid? Leave a comment below and let me know what I’m missing out on.